Have you ever wanted to just try something new and different and unique, but never did because you were scared or doubtful? It’s tough to jump out on a limb and take on a new activity, career or adventure. Tough or not, Tod Tracy, went for it. This married father of 3 jumped out on that limb AND took his family with him for the ride! Tod, his wife, Teah, and their 3 children (along with some dogs and chickens and now, bees, of course) live on a bit of land about an hour south of Houston, TX. 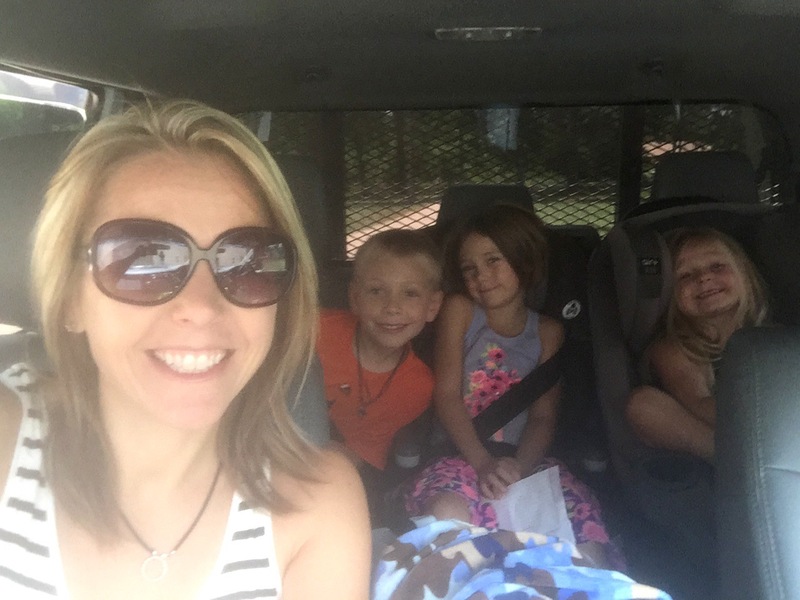 Teah had already left her previous career as a teacher to become a successful Young Living Essential Oils Distributor, working from anywhere and enjoying a less traditional and super interesting line of work. And it seems that the unconventional bug bit Tod, too. He began researching honey bees and became fascinated with them. 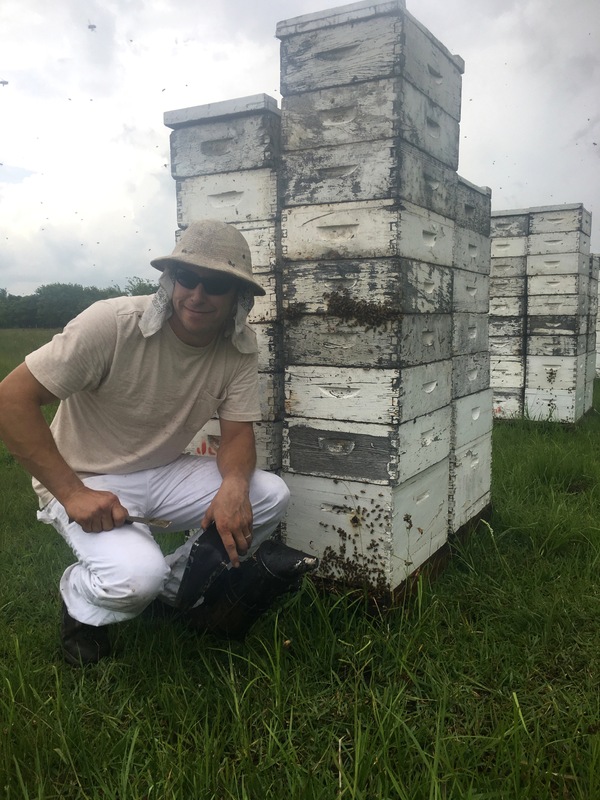 This busy family man who holds down a full-time job, not only decided to reach out to a local bee club for more information, but also to multiple local bee farmers, one of which he actually helped with his bees voluntarily on his days off. “That’s when I knew that this is what I wanted to do, especially when I saw you could make a living at it,” Tod said. So, sure enough, Tod and Teah got their honey farm up and running not long after, and their lives are forever changed. Just like any sort of farming, there is a lot of maintenance involved in having a honey farm. “There is more maintenance required with the equipment than the actual bees” Tod explains. Wondering if he gets stung often? He says it happens. Maybe not as much as you think. But he also chooses not to wear a bee suit, so that increases the odds of a sting, of course. And, how is the new business affecting the entire family? Tod tells us, “My kids are exposed to real, hard, hands-on work.” Their 3 kiddos also get to go with dad on some deliveries, allowing them to witness the business side of everything. “They learn and see me interact with others in business and that you get paid for a product. It’s teaching them lessons on the value of a dollar.” But all of the fun and cool lessons don’t come without sacrifice, of course. There are some days where they have to put playtime on hold and give extra attention to the bees and the farm. 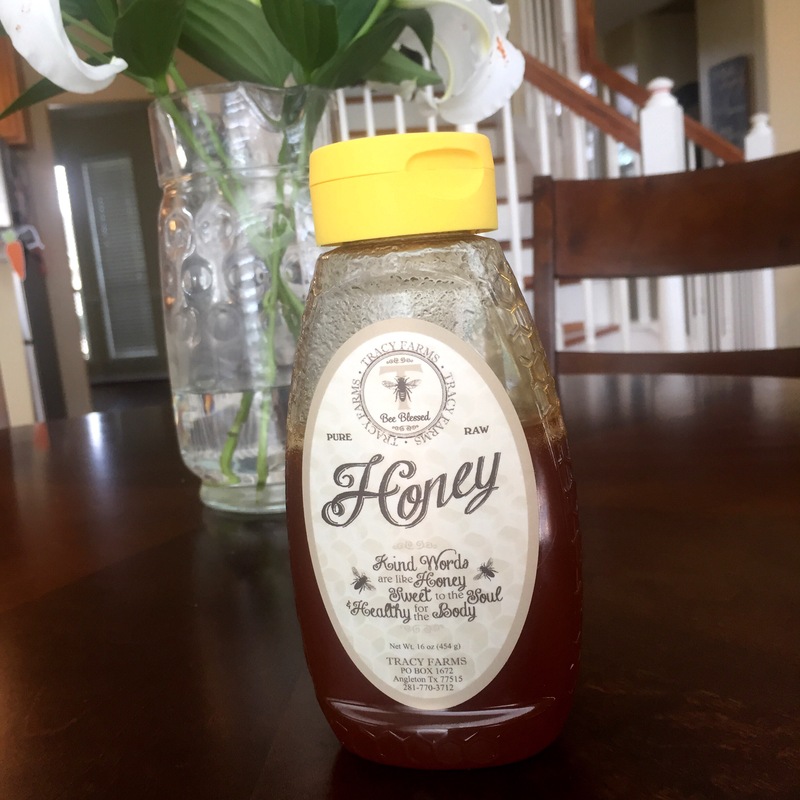 “Although that may seem like a negative to them now, I believe it is really teaching them very valuable, lifelong lessons.” Plus, the Tracy kids think the bees are pretty darn cool. Tod and his daughter, Taytum. Teah and the kids helping dad work bees. 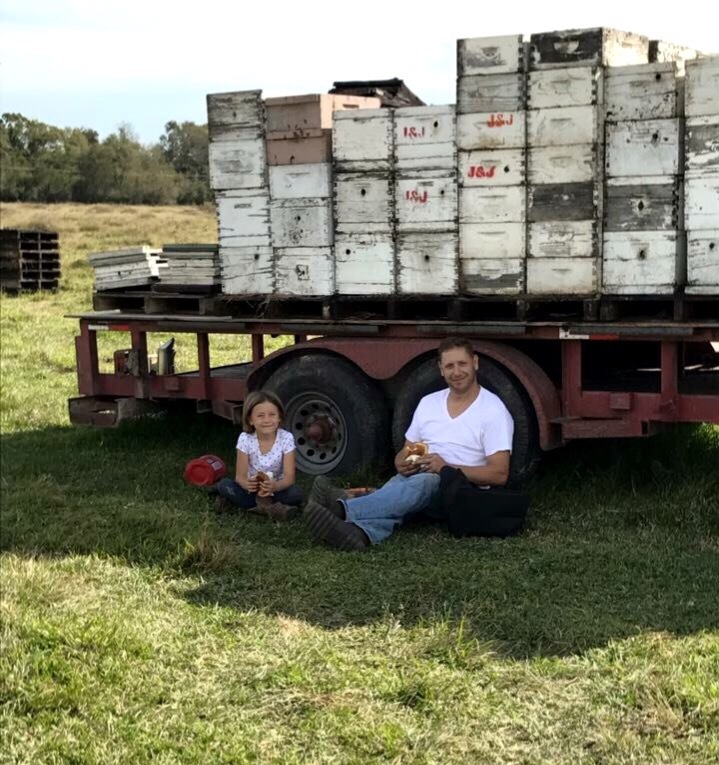 Tod and Teah are especially thankful to be able to provide for their children doing things lead by their hearts, all while exposing them to the beauty of nature and the reality of a family business. It takes desire, passion, courage and faith to make a change in your life and start a new journey. And it seems that Tod has done just that with really positive, inspiring results. 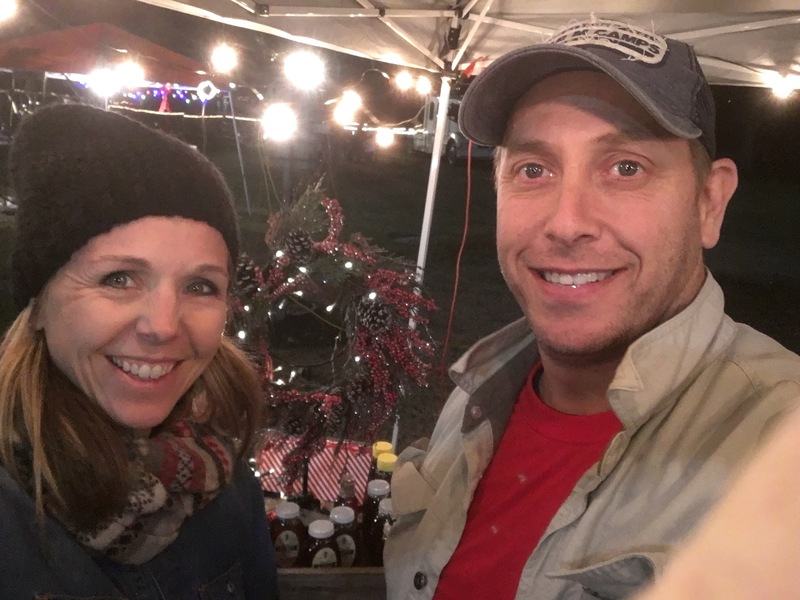 Tod and Teah Tracy selling Tracy Honey Farm honey at a local market. Kind Kiddo is honored to have been able to feature this bee-autiful family. Please follow them on Facebook at www.Facebook.com/TracyHoneyFarms. Tod was one of our neighborhood kids growing up and we’re re so pleased to see what he’s doing with, and for, his precious family. 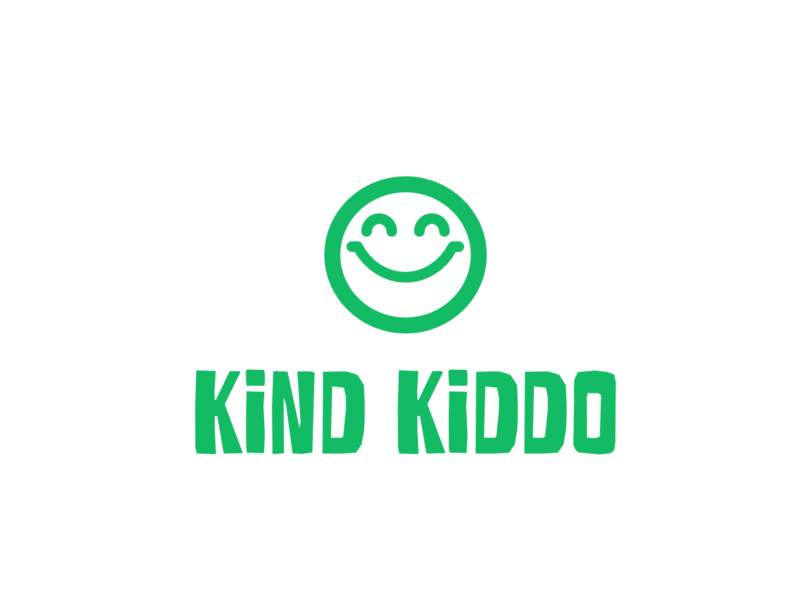 Previous Kind Kiddo Shop Profits to Kids’ Meals Houston!